¿Te apetece pasar un año diferente en otro país? 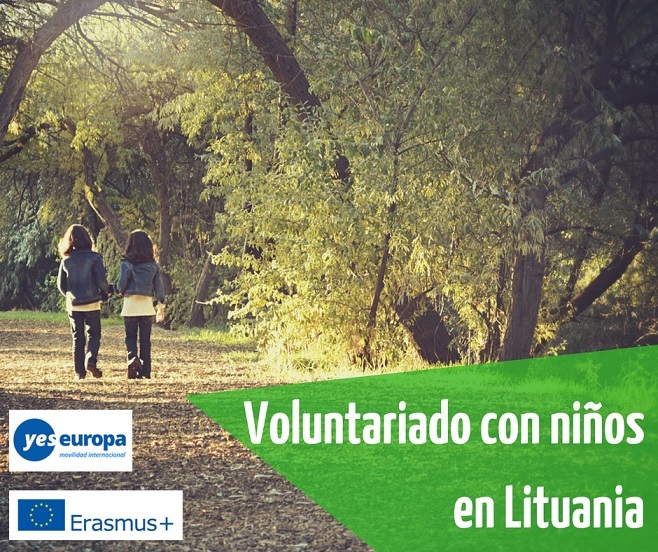 No te pierdas esta oportunidad del SVE para realizar un voluntariado en Lituania con personas discapacitadas o niños. 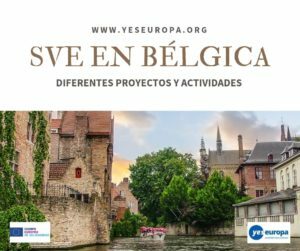 Si quieres ver otras oportunidades de becas y voluntariado en Lituania, visita nuestra página. Dates: End August 2018 – End July 2019. Together with teachers look after kids: help them get dressed, when going out – dress up, help to eat, or to help in other ways to little children. Play with children. The playing is the main form of learning, comunicating and living for children, so it is important to interact with them in playing. To participate in the group activities with children. Encourage children to communicate and to cooperate by the personal example. To participate in the planning meetings with other volunteers also workers. To help workers to prepare everything for activities, sleeping, eating, etc. The most important is that the volunteer would be motivated and feel good with 2-6 year children. During project, all tasks will be discussed with volunteers and his tutor: the volunteer will be able to make his personal plan. Any initiative of volunteers will be encouraged and supported by our organization. Also during the project, the volunteer will get support in working place by other workers. The volunteer should have basic ENGLISH language skills. In the process of selection we will invite the volunteer to have skype intervew with responsible people. A work in social center with adult persons with intellectual disabilities. Group dedicated to integrate and assist adult persons with intellectual disabilities and their families. Also there are organized educating and leisure activities. To go with disabled people to the shop and help them to cook the lunch. To participate with the workers in different activities (as candles, postcards, drawings, work with paper, making things from wood and so on) and assist disabled people. To organize various workshops using personal skills. To help disabled people to organize their free time in our centre. To help the workers to organize one-day trips, camps and cultural events. To communicate with our people and help them to become more self-confident and independent. Work in a social center with 6-11 year children. Two day centers for children 6-11 year old, who live in poor material conditions, have emotional and behavior problems, have learning problems, and need psychological help. Participation in and helping to realize all the activities. Organize / helping to organize/ day-activity with local volunteers or workers.